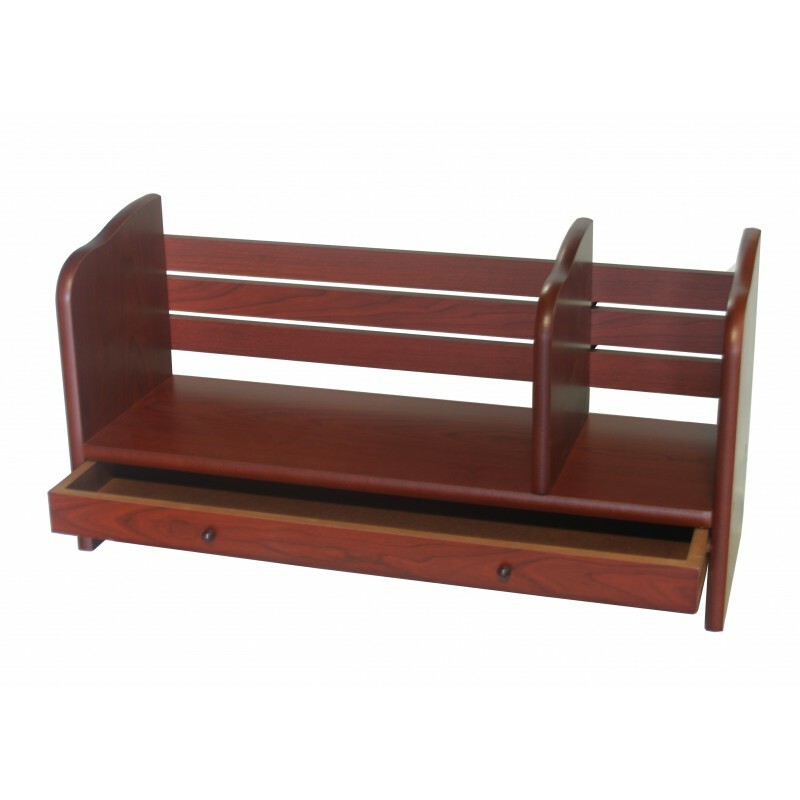 Features with a sliding panel and a drawer, Proman Products' Renaissance Desktop Book Rack helps you keep your workspace neat and well organized. 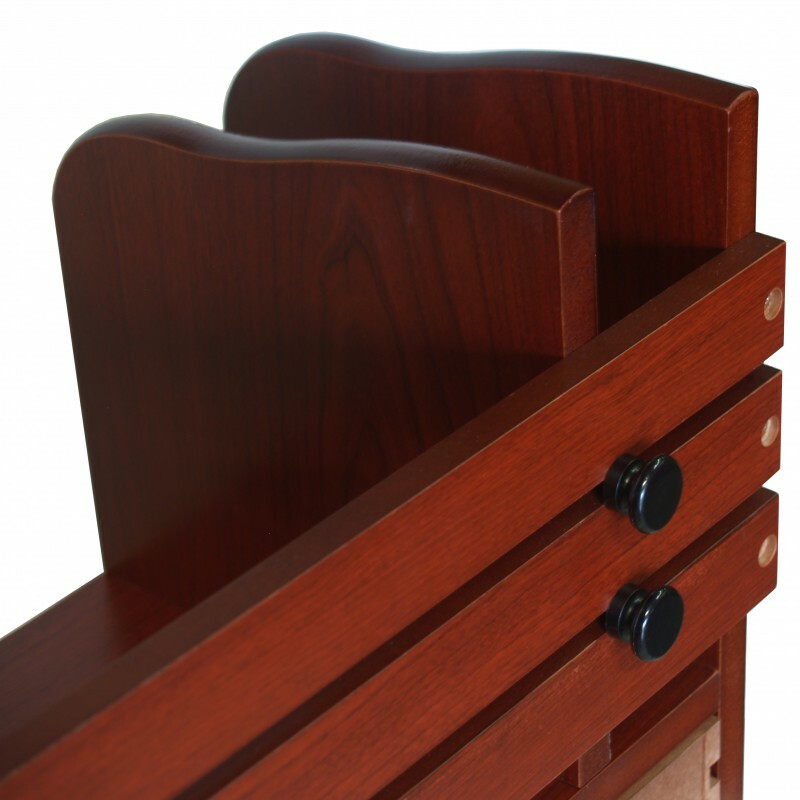 The sturdily built book rack can hold books, magazines, and documents tightly. 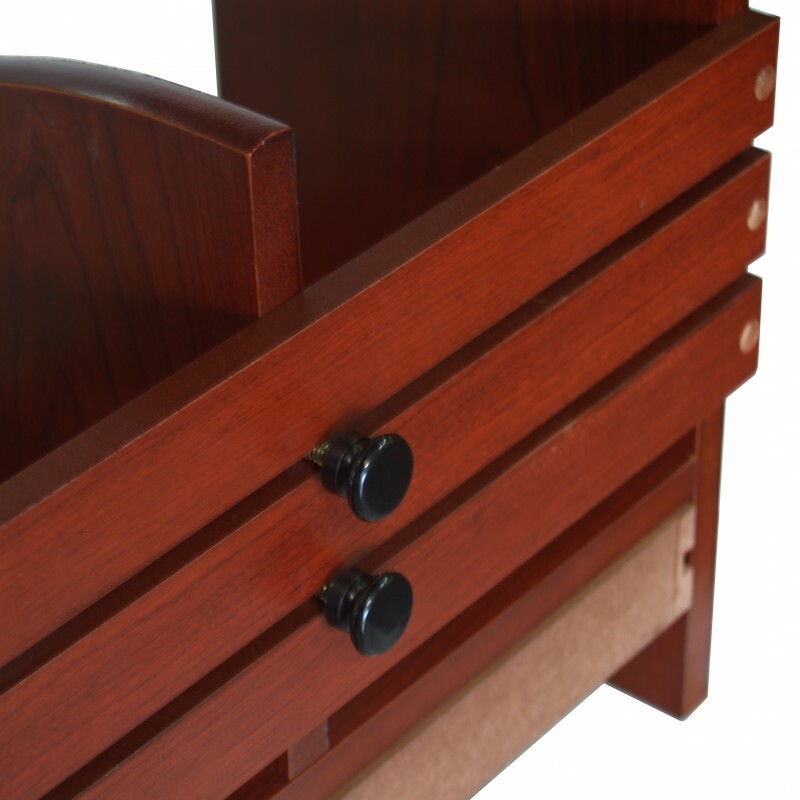 There comes a sleek designed drawer to store office supplies and small personal items. 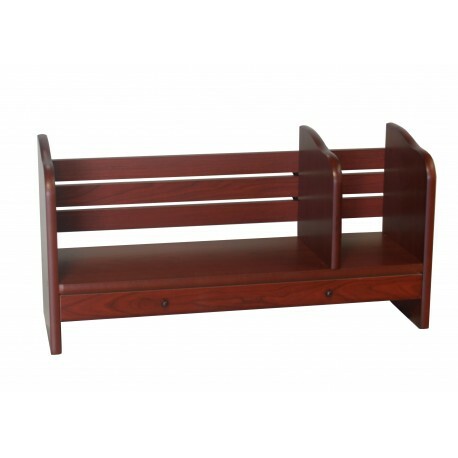 The rack in red walnut color gives you the feeling of active and energetic. It is a unique book rack that best fits your space.